What kind of car is that? This is a question you can expect to hear quite often, from people who do spot you driving the amazing 2016 Nissan GT-R. This incredible performance car is now available at Woody Folsom Nissan of Vidalia, GA. Come and see on in person! This exotic, streamlined supercar is both track-worthy and easy to drive every day. Come over to Woody Folsom Nissan of Vidalia of Vidalia from anywhere in the region. We are convenient to car buyers from Vidalia, Georgia, Ailey, Soperton, McRae, Lyons, and Swainsboro, GA. Come down to Woody Folsom Nissan of Vidalia and check out Nissan's awesome supercar. If you are like so many performance enthusiasts, you will want to arrange a test drive. If you take a test drive, you might not be able to resist becoming a GT-R owner. 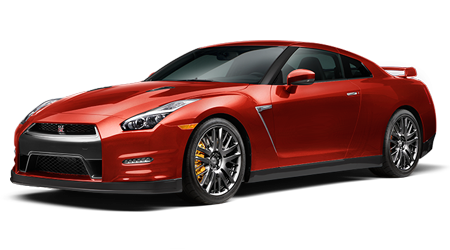 Built for racing but street legal and civilized, the 2016 GT-R is the zenith of Nissan engineering and design. The 2016 GT-R combines a powerful 545 horsepower 3.8-liter V6 engine with 50/50 weight engine with a dual-clutch transmission. An individual craftsperson builds each GT-R engine; that is an exotic touch that sets this GT-R further apart from other sports cars. The standard all-wheel drive, custom-made performance tires, and Brembo performance disk brakes help you keep all of that power under control. The suspension system was also built with the race track in mind; you will find MacPherson struts up front and a double-wishbone system in the rear, both ends also feature stabilizer bars for extra grip while cornering. The electric power steering system offers up a responsive, precise, and well-weighted dynamic that is as intuitive and quick as the driver. Finally, if the base Premium model is not hot enough, there is a limited-edition NISMO model offers a tweaked suspension and engine that an extra dose of exciting acceleration and handling. The GT-R was built to delivering blistering performance in a car that you can drive daily. Nissan kept things simple and business-like inside, but there are still plenty of comfort and convenience features that make this a car you can drive every day. The GT-R seats four in comfortable, supportive bucket seats. The interior features a generous amount of leather trim. Of course there are also different color combinations. The dual-zone climate control and air filtration contribute to the feeling of comfort. The supportive bucket seats are heated and power adjustable too. The interior offers plenty of modern connectivity features, and a premium Bose audio system with MP3 and CD playback capability, 11 speakers, a USB port, and Sirius XM. Of course, there is also a limited selection of interior colors, depending on the model. We hope you like black! 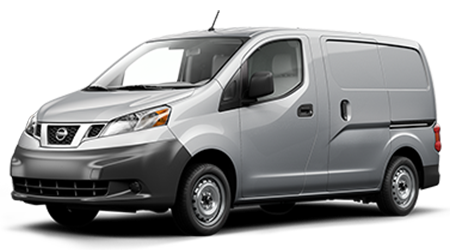 In any case, you will also find the interior boasts luxury features like a rearview camera, cruise control, push button starting, power windows and door locks, and a Nissan navigation system with touchscreen and voice recognition. The interior is plain, but comfortable, with plenty of comfort and convenience features that make the GT-R interior a great place to be for driver and passenger. The GT-R looked awesome before, so the 2016 model has not really changed. The eye-catching, muscular body design is about the same. The headlights have been improved, so the lighting pattern changes with driving speed. The flared fenders, low=profile tires, and rear spoiler all emphasize that this is a serious sports car. Buyers can choose from several exterior colors and a variety of exterior options, depending on model. All models come with various design features that optimize airflow to engine and brakes, to keep things cool. The 45th Anniversary, Black and NISMO models of GT-R offer different, distinctive exterior looks..
Safety cannot be neglected in a serious performance car, and Nissan built a long list of features into the GT-R. The body incorporates crash-resistant features like creases in the hood that give to absorb a crash. Inside, there are multiple airbags, some with two-stage deployment for added safety and occupant sensing. The steering column is also designed to collapse in a serious crash. There are lower seat anchors for child safety seats. Underneath the car, the ABS and all-wheel drive and electronic brake force distribution help you keep the GT-R under control. A standard security system and a vehicle immobilizer help protect your investment. There can be no doubt that the GT-R is an impressive and beautiful car, the pinnacle of Nissan engineering; come and see it in all of its glory. The 2016 Nissan GT-R is available right now at Woody Folsom Nissan of Vidalia, GA. We invite potential Nissan owners from drivers from Vidalia, Georgia, Ailey, Soperton, McRae, Lyons, and Swainsboro, GA to come and take a look at this amazing performance car today!